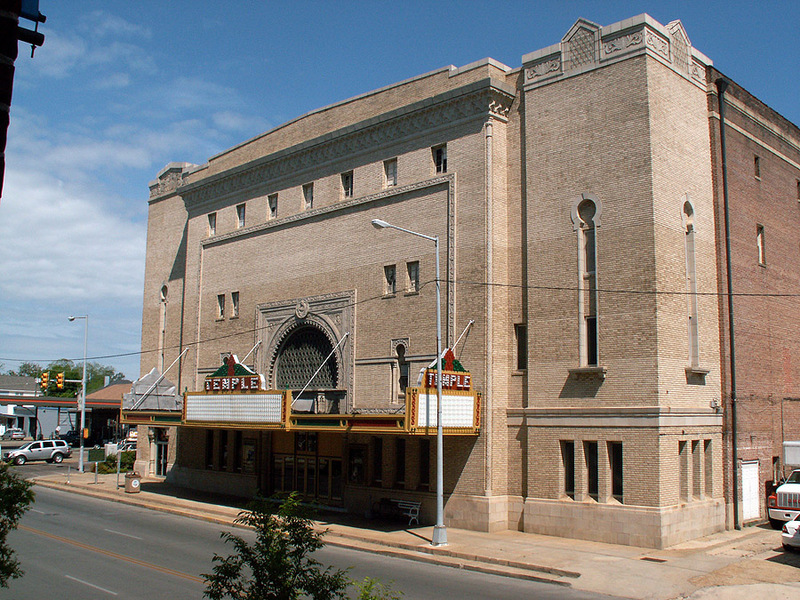 Thank you for visiting the official website for the Temple Theatre for the Performing Arts located in Meridian, Mississippi. Here you will find a listing of upcoming shows, along with photos, a bit of history, and information about this beautiful historic theatre and all she has to offer today. I want to personally thank all who have shared my vision of growing and restoring the Temple Theatre these past six years. It occurred to me that reaching out to all who have come to love… this historic old movie palace through Facebook and this, our own webpage, was a way to reach a multitude of friends, both old and new. Many fond memories of attending shows and movies in the Temple are cherished by local residents, dating back several generations. I would like to enlighten the public and perhaps dispel a misconception regarding the Temple Theatre. First and most importantly, The Temple is an IRS 501 (c)(3) tax exempt, non-profit charity organization. The Temple is NOT privately owned. There is NO payroll, NO regularly paid employees. Daily management, clerical support and basic building maintenance is provided totally by volunteers. All funds received are funneled directly back into the Theatre, and are fully tax deductible. I thank God every day for allowing me to fulfill a dream of restoring and keeping the doors of the Temple, Meridian’s other historic theatre, open to all; where artistic expression may be shared with young and old alike. The need is real. Your tax-deductible financial support and sponsorship of events will allow the Temple to continue to attract and provide a variety of quality, affordable, live entertainment for Meridian’s cultural enrichment. Please call me at (214) 938-5656 to sponsor an upcoming show. See you at the Temple! Please choose from the drop down tabs located on the menu bar above to learn more about The Meridian Temple Theater for the Performing Arts.